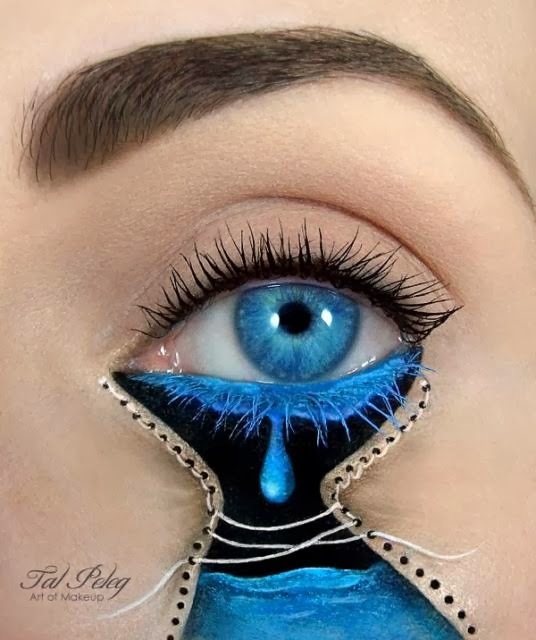 The eyes may be the window to the soul, but as these stunning creations by makeup artist Tal Peleg demonstrate, they can also be canvases for the imagination. Who would have guessed that the tiny space between the eyelashes and the eyebrow could support such fantastic works of art? Be warned, though: after seeing what Peleg can accomplish, a dab of eyeshadow and a swipe of mascara may never seem adequate again.